When Fiona McLeod first came across a ‘cling wrap replacement’ she didn’t know what it was. After some research Fiona attempted to make the product herself. This was followed by a period of trial and error in her home kitchen in Umhlanga before the recipe was perfected and Sting Wraps in South Africa was born. Fiona now sells Sting Wraps at markets (e.g. the Wonder Market, Christmas markets) and supplies health food shops. She can also be contacted directly for orders. To make the Sting Wraps Fiona chooses a range of colourful 100% cotton fabric. The material is cut into different sizes. She then mixes together beeswax, tree resin and organic coconut oil and coats the fabric in the mixture. The resulting cling-wrap replacement can be used to cover food dishes in the fridge, store vegetables, cheese, keep bread fresh, wrap sandwiches and even store food in the freezer. 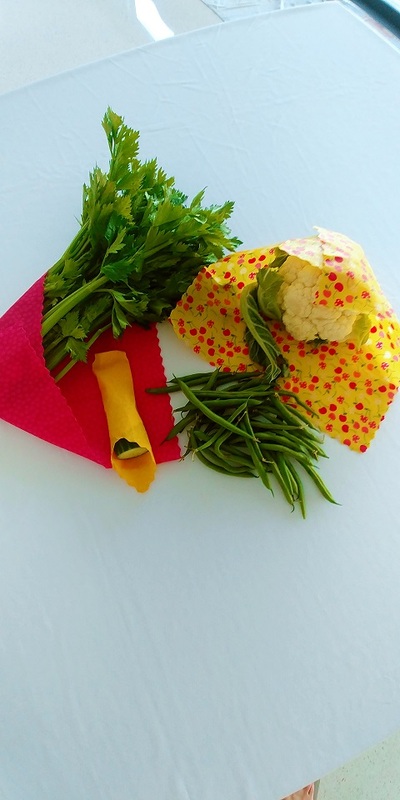 It can also be used creatively: stems on a bunch of flowers can be covered with it, gifts can be wrapped in it, and the small Cling Wraps can be used to open stubborn jar lids. 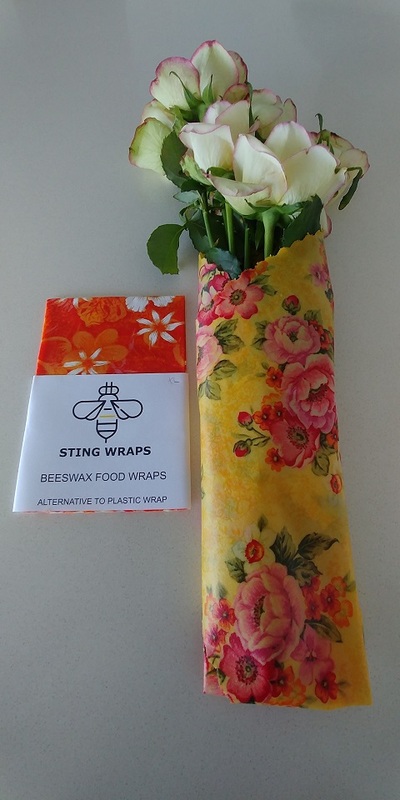 The Sting Wraps are stretchy and so work just like cling wrap – only they look beautiful and are reusable for up to a year or more. How to use Sting Wraps: https://www.facebook.com/stingwraps/videos/206515083533069/. Wrapping gifts with Sting Wraps: https://www.facebook.com/stingwraps/videos/320847065395237/ . Fiona’s most popular seller is a pack of three different sizes (R160). 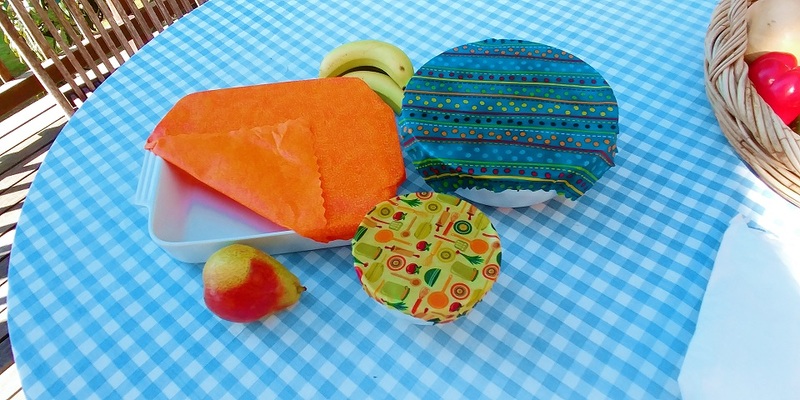 These can be used to cover small, medium and large casserole dishes. She also makes extra-large casserole-sized/ catering-sized wraps. Cling Wraps make great gifts and are useful as eco-conscious corporate gifts for company employees. If branding for the Sting Wraps is required Fiona can supply this service too. (Her full-time business is printing). Contact Fiona: 082-445-8956, stingwraps@mweb.co.za, www.facebook.com/stingwraps.